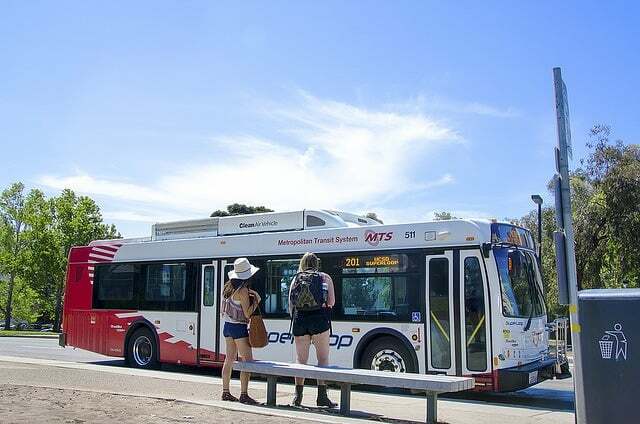 Transportation Services announced in a campus-wide email on Jan. 21 that the Arriba Shuttle route will cease to exist beginning on Feb. 1, with the San Diego Metropolitan Transit System instead adding buses to the SuperLoop route, which runs along the same streets. According to Rob Schupp, a public relations representative at MTS, the frequency of the SuperLoop will increase to every five minutes during peak hours and will expand its hours to 5:45 a.m. until midnight. Schupp claims that consolidating the routes is believed to increase both the frequency and the hours of service of the buses. According to Director of Transportation Services at UC San Diego Josh Kavanagh, having a single agency controlling the scheduling and dispatching of buses is also expected to make the buses run more efficiently. Schupp explained that in efforts to avoid overcrowding, a minimum of two MTS buses will be added and standby busses will be ready for additional services if overcrowding is present. UCSD has provided Arriba ridership data to MTS that can be incorporated into its planning service, Kavanagh told the UCSD Guardian. Transportation Services also believes that replacing the Arriba shuttle will give the campus the option to redirect their resources. As the SuperLoop stopped running after 10 p.m., students were forced to find another way home if they stayed on campus late, Gomez explained. With this coming change extending hours to midnight, students will have the opportunity to stay on campus longer without needing to arrange for a ride home. Students using the shuttle seem to have a differing opinion. “I think the SuperLoop is already crowded, and transportation is already inflexible for some students, so dissolving the Arriba Shuttle into MTS only exacerbates the problem,” said shuttle rider and Sixth College junior David Huang. “The Arriba Shuttle is definitely the faster option for me because it skips a lot of the SuperLoop stops. Without the Arriba Shuttle, my journey to campus will be more crowded and take longer because of the extra stops,” John Muir College junior Aishwarya Kudrimoti explained. This past year, Gomez helped charter the Transportation Advisory Committee, which was created to help engage student leaders and administrators to improve transportation for students. Students can get involved with transportation discussions by attending the biweekly Transportation Advisory Committee meetings. Here’s the reality as I see it. I side with the students who indicate Ariba is more convenient. Transportation Services will not tell you this, but I’m sure the main reason for the elimination of Ariba has to do with saving money. Elimination mean they don’t have to pay drivers, save on fuel, and more importantly no liability. Since they negotiated with MTS to operate SuperLoop until midnight at no additional cost, they see this as a win-win situation. Another issue should be brought to your attention is the Transpiration Referendum that student passed last year explicitly states “UCSD Transportation Services will retain responsibility for a city shuttle program while this referendum is in effect”. Reference https://as.ucsd.edu/Home/TransportationReferendum. “responsibiltiy” does not mean elimination. Another referendum should have been brought to student vote to eliminate Ariba Shuttle from their transportation fee. If Transportation Services is receiving any funds from the transportation fee, they are now misappropriating for other servers.